They say that everything happens when it should ... when its the right time ... when its meant to. Sometimes, we just become too impatient that we want to hasten things when we really shouldn't ... I am guilty of this. When people would say patience is a virtue, I would answer that time is gold. I'm impatient that way. Lately, I am learning to wait and to let things happen as they should and when they should. It hasn't been easy and sometimes I just want to say "hurry up!" but I don't. 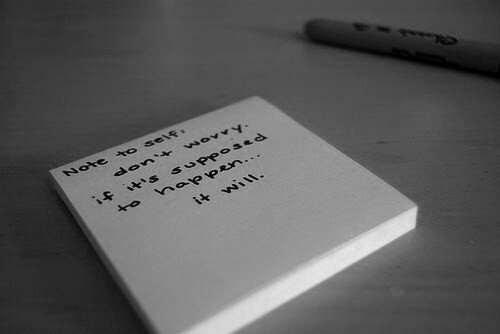 I know now that when things are supposed to happen, it will. Till then, all I can do is wait. that's right. we should patiently wait for that moment. just taking it easy.